China and gemstones are 2 of the most popular themes for a game so it was only a matter of time before a developer combined both into a single game. The result is Dragon Shrine, a 5 reel, 40 payline game from Quickspin. Look out for re-spins with stacked symbols and frozen wilds as well as a free spins round. Stakes start at 20p, rising to a maximum of £80 per spin. The design in Dragon Shrine is pretty simple, especially for a Quickspin-powered video slot. You’ll see A to 10 values spinning around the reels alongside 4 brightly coloured gemstones. There’s also a wild that offers awards of up to 10 times your total stake per payline. 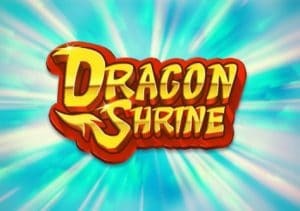 There are 2 main features on offer in Dragon Shrine. Dragon Stack Respin feature – these are triggered by landing a full stack of golden dragon symbols on reel 1. Any dragon or wild symbols are held and 3 respins are awarded. Any wilds or dragon that land during those respins are also held. A final calculation is made after the third and final respin with all the dragons and wilds in place. Free Spins feature – land 3 bonus scatter symbols on the same spin to get 10 free spins. The Dragon Stack Respin feature can be triggered here by landing a full stack of dragons on reels 1 or 5. The stack copies on reel 5 if you land them on reel 1 and vice versa. The free spins are played using a win both ways game engine. You can also re-trigger more free spins here too giving you up to 20 in total. Dragon Shrine is a pretty simple game – the design has a slight Chinese flavour and though rather basic works well enough. We found the variance to be in the medium range with maximum payouts of 871 times your bet on each spin. The best opportunities come if you manage to land the respins during the Free Spins feature. The Chinese and jewel themes are both incredibly popular. Dragon Shrine combines elements of both and works well enough. If you’re a fan of either theme and fancy a video slot that offers something a little different then this unusual hybrid delivers just that. I also recommend you try some of their other games with Pied Piper 1 of their better efforts.